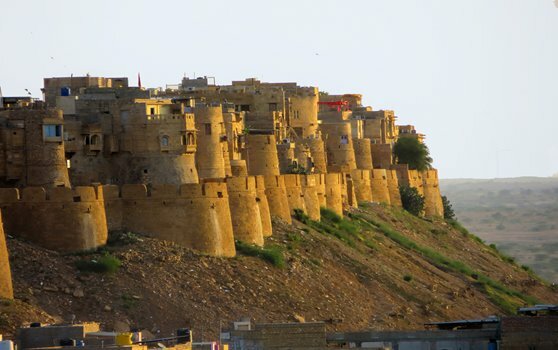 At approximately 2pm we will leave Jaisalmer. On the way to sand dunes we will visit Kuldhara, an abandoned village. We will then proceed to the camel point, take the camels and ride into the desert. After a sunset dinner, you will relax on the dunes next to a camp fire ( weather permitting ) and will return to Jaisalmer arriving at approximately 10:30 pm.